Around New Years it seems that everyone wants a top 10: the top 10 most stupid remarks made by celebrities, the 10 worst-dressed French poodles, the 10 most embarrassing political speeches and so on. We revisited some of the ideas that our Research team at ESET, LLC came up with at the end of 2008 for a "top 10 things that people can do to protect themselves against malicious activity." 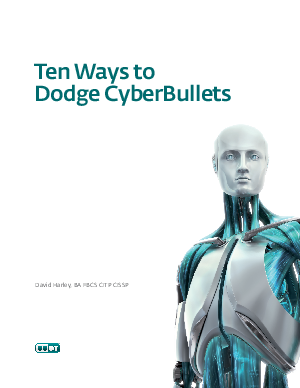 While much of the content in this paper comes from a series of blogs from the beginning of 2009, it's been updated here with more recent material from other members of ESET's research teams across the globe.